Our biggest event of the year is back for 2019!! We will be tackling the 3 highest peaks in the Lake District on Sunday the 25th August, if you would like to be part of the team you can sign up here! The event is a fantastic challenge which is always very popular – as we have limited space get your place now to avoid disappointment! During the event we tackle the 3 highest peaks in the Lake District; Scafell Pike (978m), Helvellyn (950m) and Skiddaw (931m) in one day (well, inside 16 hours actually!). It is a tough challenge but one that is really fun! The routes for this years event will be published in the coming months, but they will be the same as last year (you can see the brochure available for download on this page). All transport is provided for the day, you just need to get yourself to the meeting point near Cockermouth for the 4.30am departure and you will be dropped off back at the meet point (where you can leave your vehicle later that night (approximately 10pm). 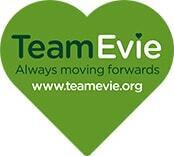 If you would like more information about the event before signing up please get in touch with any questions or concerns, or you can look at last years booklet – TeamEvie Lakeland 3 Peaks Booklet 2018 which may help. Lake District 3 Peaks Entry Book Now £25 each. 47 available. I acknowledge that the registration fee is non-refundable & pledge that I will raise the £250 minimum sponsorship.